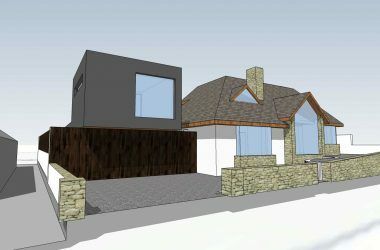 We are a multi-disciplinary team of architects and architectural technologists who, together with our team of consultant engineers, quantity surveyors and health and safety professionals, offer a complete service ranging from initial assessment and conceptual drawings, through planning applications, to construction monitoring and final certification. We are registered with the CIAT and CABE, as well as the Society of Chartered Surveyors of Ireland SCSI as an assigned certifier under the new building regulations BC(A)R 2014, with full professional indemnity insurance. Our sister company is Fallon Kelly & Associates, with its principal director, Mr. Perry Kelly, who is a Fellow of the Royal Institute of Architects of Ireland (FRIAI) and has many years’ experience. 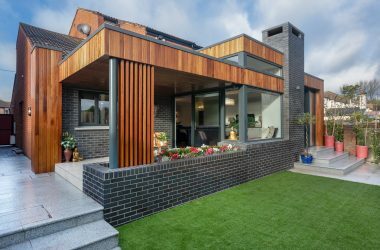 With over 25 years experience within the construction industry, the bulk of our work involves designing extensions, one-off houses, renovations and a growing amount of commercial work. We are a registered BER assessor with Sustainable Energy Authority Ireland (SEAI); energy efficiency is central to our work. Our design style incorporates plenty of glazing, throwing light into previously darkened corners and creating bright, spacious light-filled spaces that adapt to our modern, dynamic way of life. We believe in going the extra mile, listening carefully to clients’ wishes, and understanding that this will likely be one of the biggest upheavals they will ever undertake. We thoroughly love what we do, and seeing the finished project excites us every time. Joe Fallon Design won the Best Public Park award at the 2016 Community and Council Awards, and the 2014 Wexford Chamber of Commerce Social Contribution award. We were also shortlisted in 2011 for the CMG Architectural Practice of The Year. Our work regularly features in home improvement magazines. Joe Fallon Architectural Design is feeling proud. 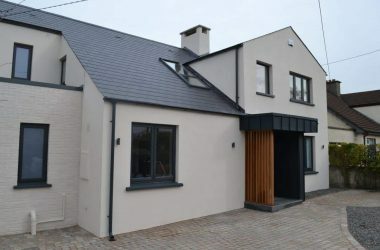 Check out our latest completed project, a fine rear extension and interior renovation located in Rathfarnham.